The Solar SuperStorm of 1859. The Carrington Event. It happened during September 1–2, 1859 and was the largest geomagnetic storm ever recorded. During the Thursday morning of September 1, 1859, Richard Carrington, a 33 year old amateur astronomer from England, first observed sunspot activity that would later lead to the monumental eruption. The observations were seen using his solar telescope which projected an 11 inch diameter image on to a surface where he would sketch the large group of sunspots. During his observations that morning he suddenly witnessed two brilliant spots of light forming within the sunspot group which rapidly grew in size, twice as bright as the sun itself. Within 5 minutes the mega flare had peaked in size and intensity, reduced back to pinpoints of light, and vanished. Early the following morning, much of the world was witnessing a massive and tremendously bright display of the aurora, even at latitudes in the tropics! During the same time, telegraph systems all over Europe and North America failed while spraying out sparks from telegraph poles and igniting widespread fires. The telegraph system was the only high technology of that day, archaic by today’s standards, and it was brought down by an invisible force from the sun. Today, the problem begins with the vulnerability of our electric power grid, the essential conduit carrying the life blood of nearly all services and infrastructure that our modern society depends upon. 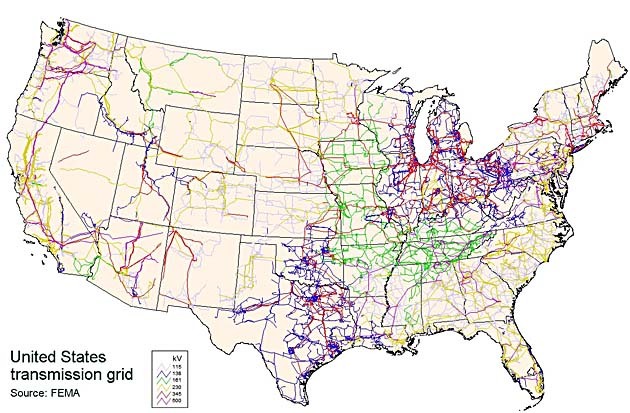 The way in which the grid is built in the United States (similarly elsewhere), power lines stretched out overhead at distances spanning and crisscrossing nearly 200,000 miles, it acts as a giant vulnerable antenna which would easily pick up the electrical currents induced by a geomagnetic solar storm. Leading to widespread catastrophic problems, a solar super-storm today would induce electrical currents which surge, melt, and destroy the copper windings of transformers… the essential interconnecting links distributed all over the grid. The utility companies have interconnected their grids together, enabling long distance distribution and control of supply and demand, increasing the risks of chain reaction failure. The most notable recent geomagnetic power outage took place during March 1989 when a major solar storm plunged millions of people into darkness in Quebec, Canada as their power grid system failed. To put it in context, this same solar geomagnetic storm was just fractionally as powerful as the SuperStorm of 1859. …in the blink of an eye. There is the remote potential that some of the electrical implements in your house may catch fire – particularly those with motors in them – AC units or washing machines etc. A massive solar flare event would cause such chaos your house catching fire maybe the least of the problems. I believe that in the case of an 1859-type event, transformers along the electrical grid will burn their windings and perhaps catch fire. My instinct tells me that homes and businesses would be safer in comparison in that there would probably not be fire, but circuit-breakers may trip while the power goes out. Back in 1859, the telegraph wires were connected directly to equipment, creating more direct vulnerability at the business end. The high currents that will fry transformers along the power grid will be induced in the thousands of miles of power lines suspended above our streets, acting as giant antennas. 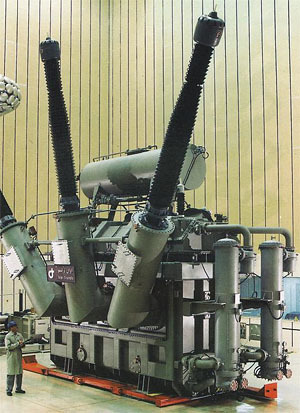 The problem today would be the extreme issue with replacing so many transformers (especially the EHV transformers), all the while without power and the inability to manufacture with the same machines that require power… Modern civilization DEPENDS upon electricity, and unfortunately most will not survive long without it due to system inter-dependencies. @ Illinoisian: 3 things are needed to conduct electricity: a conductor (metal wire copper is best), a magnetic field (energy source, solar flare) and relative motion (the solar flare moving across the earth). Lots of things burning up all over the affected area, inside & out and most electronics rendered un-useable because of damage or damage to something they need to work. While there are many other important things to human life, like water, our technology advances have made our way of life depend totally on electricity, in a way it’s virtually irreplaceable. However, it’s something we take for granted, and don’t understand how costly is it’s production for the planet resources and for the financial ones as well, what it takes to actually produce such immaterial power nature scatters around at will in a much higher level – lightning. It seems we also can’t see how fragile is the world we have built, how little we are before nature’s power. In the same way, the power lines are vulnerable not only to earthly incidents like earthquakes and hurricanes, but to something even more powerful like a solar storm, which besides being a very severe threat, is invisible and might turn our world upside down if we have not the means to detect it in time. Well, folks. It going to be sooner or later that this happens.Goverment(s) have tested EMP for years in the Gulf of Mexico. (I remember restricted zones due to this testing and it was announced in the Times Picayune news paper. We don’t have it on the consumer side. You decide if your ready for a social collapse. Remember three weeks in Miami with no lights, electricty or services in 1995. I DO. It can happen. Jim you are so spot on…..remember there was still automobiles etc and backups were still working now imagine a complete and total shutdown of nearly all electrical “things” a few old automobiles/trucks but nothing else. Maybe even hardened military equipment might be kaput. You want to see the vermin two and four legged take over….it would be like the book, “One Second After”. End of the world as we know it & off to FEMA camps for most city dwellers for sure, and it’s just a solar flare away—PLUS don’t forgot the weakening magnetosphere won’t protect us as much. OK so we have a 20 hours to prepare. Disconnect or brake apart the grid during the strike would lessen the damage. I’m going to pull my meter and make sure the ground wire is good. Where can I find a faraday cage for the garage?